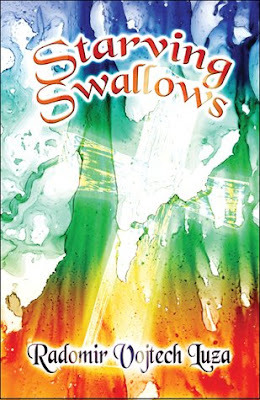 Starving Swallows carries the spirit of a man locked in a mental hospital, not knowing when or if he will ever leave. It is blue, red and orange. It is pain and victory, humor and disdain. No tragedy. It was written usually at night on top of plastic garbage cans with only the dim corridor light seeing it through. It touches on twenty years of psychotropic medication and the highs and lows of its intake. But fool yourself not, Starving Swallows is a book dedicated to the one emotion that matters more than life itself: love. It eats breakfast with it, swallows lunch and harmonizes dinner. Starving Swallows is dedicated to love, old or new, borrowed or blue, and the mysterious miracle it is. Radomir Vojtech Luza is a poet/writer/actor/comedian/sometimes lead singer who has had over one hundred poems published in over thirty-five literary journals. Radomir has been featured poet all over the country and has had twelve chapbooks published. 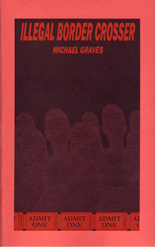 He has organized and hoseted six or seven poetry series in north New Jersey, New York City and Los Angelos, and published and edited the literary journals Voices in the Library and California East. Radomir, who has a BA in English from Tudane University in New Orleans, has poetry collection coming out in 2009 from Poets Wear Prada Press, outside New York City in Hoboken, New Jersey.